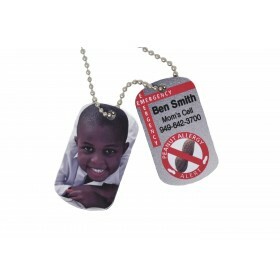 This is our Child Safety ID Tag. 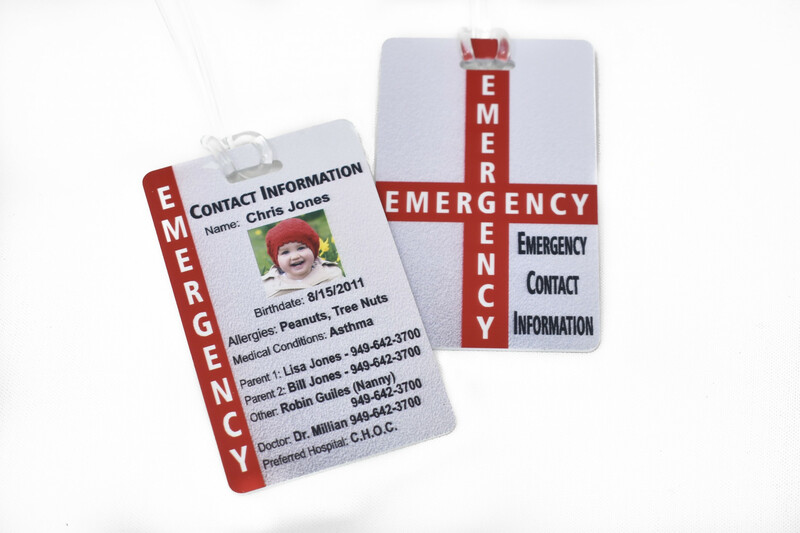 In case of an automobile accident or other emergency where the caregiver is unresponsive, this safety tag on your car seat, diaper bag, or stroller will quickly give first responders the medical info of the child, allergies, and emergency contact info! 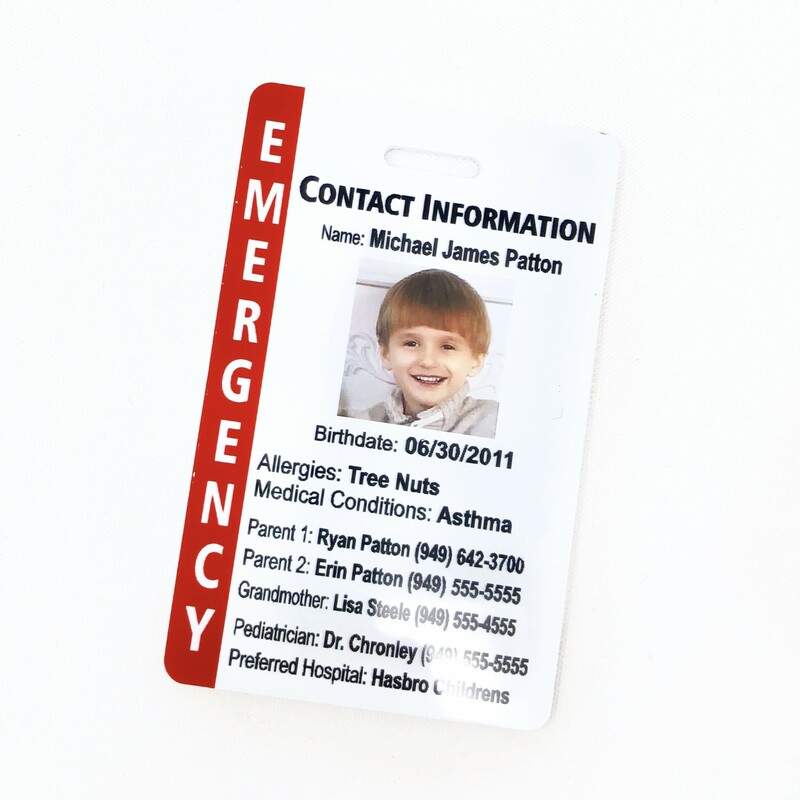 This 2 1/8 inch x 3 3/8 inch tag is made of a hard plastic material and is custom printed with photo and info on one side and an attention catching Emergency graphic on the other. 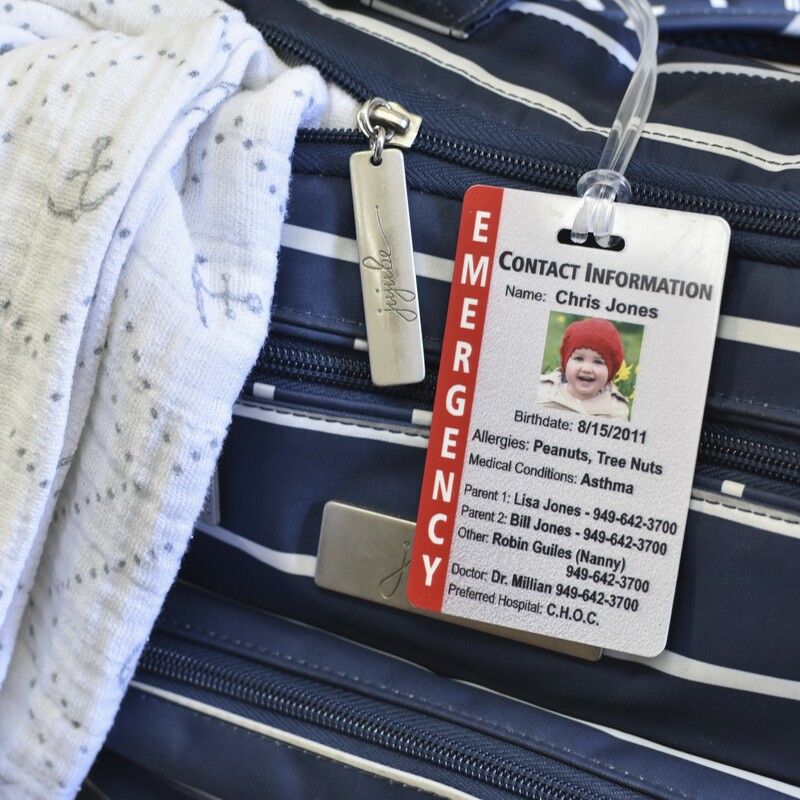 The tag can be attached to whatever you choose with the included plastic strap.